UX CHALLENGE: MAP THE INTERNET. IMPROVE CYBER CAPABILITIES. SHUT DOWN ENEMY SERVERS. Research and development work for our friends over at DARPA. The task was to map the internet for cyber warfare defense. We used inspiration from the movie, Tron. 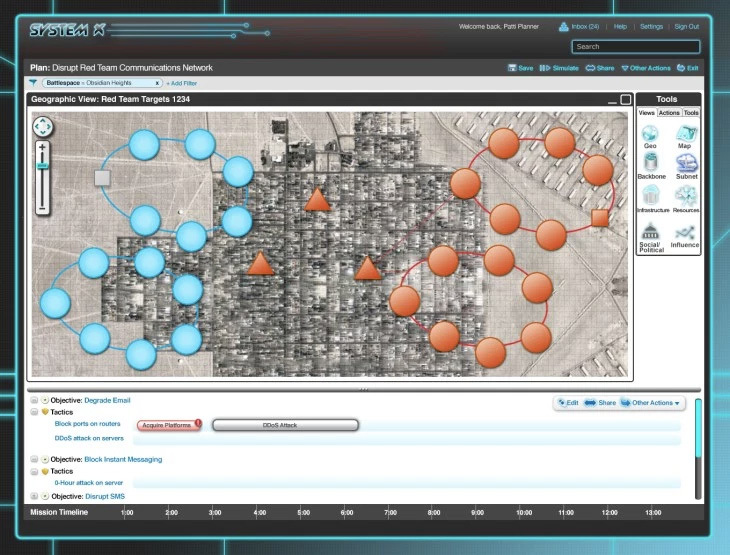 See a few screens of the user interface mapping big data.